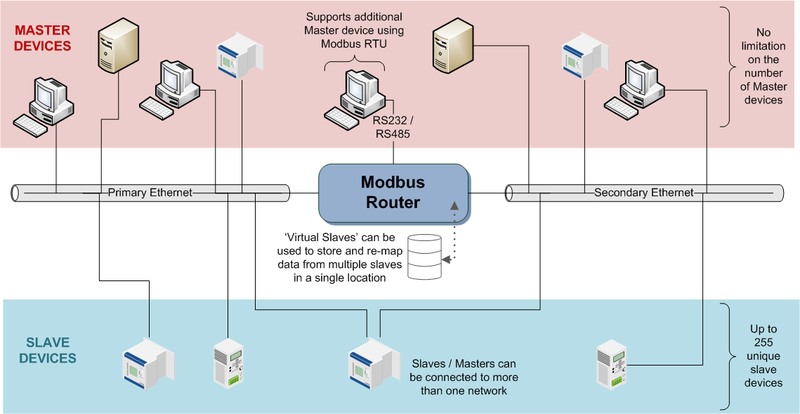 The Modbus Router is designed to provide a bridge between two separate control networks, allowing Modbus communications to pass through from one to the other based on an internal routing table, while the 2 networks remain separate (normal Ethernet traffic is not able to pass through the router). 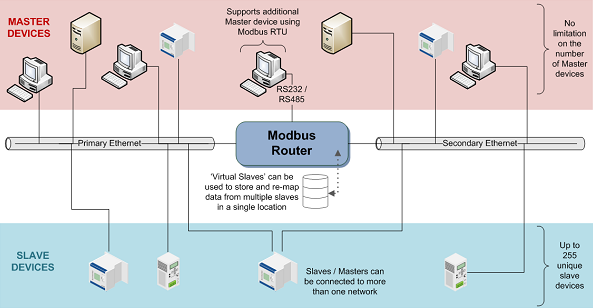 It supports both protocol and address translation, allowing seamless integration between multiple Modbus slaves and masters. Another useful feature is the ability to create 'virtual slaves' - these are entities created within the router to re-map data retrieved from a single or multiple external slaves into a more compact data map. The Virtual Slave will continually poll the external slave(s) setup within the user defined configuration and then transfer the retrieved data into registers held within the router. The register configuration and external slave setup is fully configurable by the user. Able to restore normal operation after a power outage without user intervention. 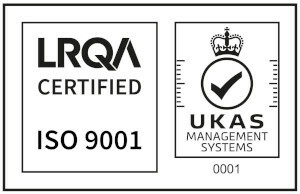 A variation has also been developed in the past to cope with slaves which do not use the standard Modbus protocol. Information regarding purchasing the product, or a bespoke variation, is available on request.